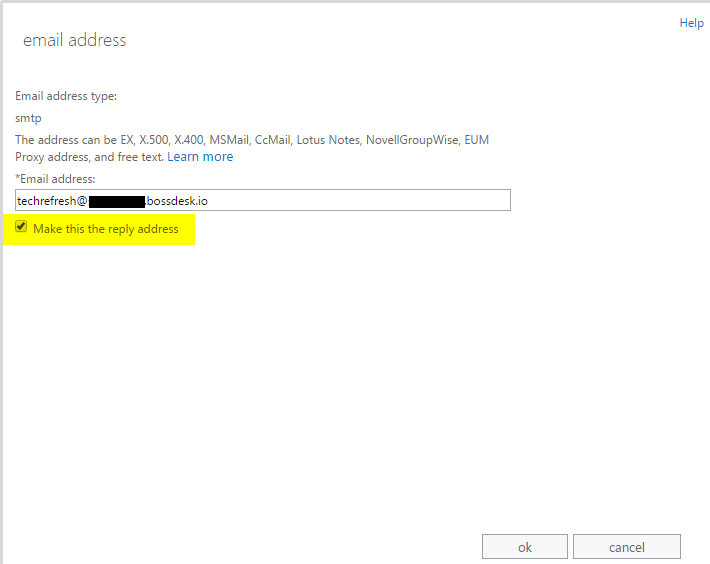 Currently, the BOSSDesk E-mail postboxes do not support forwarded emails. this can be a problem if you are attempting to replace an existing support email with BOSSDesk, without changing the email address. While support for this functionality is currently under development, there is a workaround to allow this functionality now if your support email is handled through a Microsoft Exchange Server. Create a new user (if one does not already exist) and make them the "owner" of the support email. 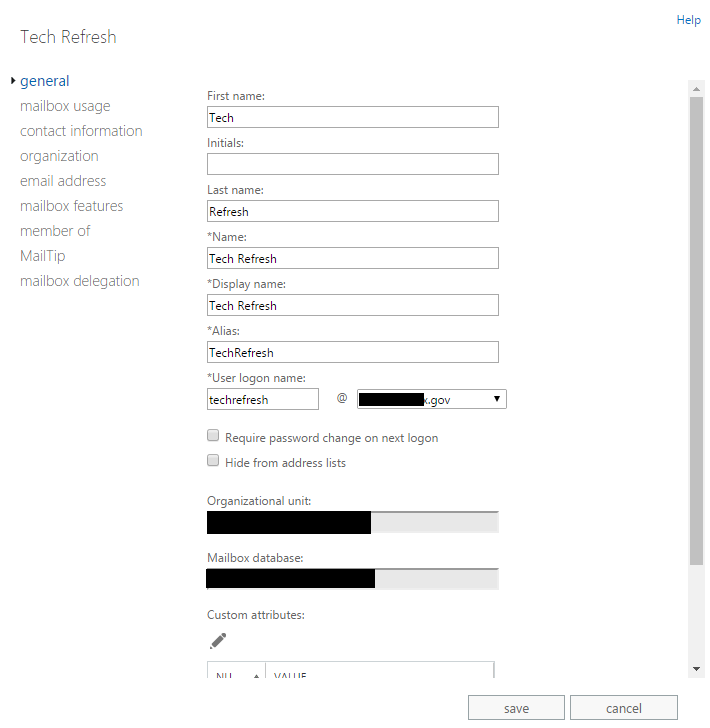 add an additional smtp email address to the user, pointing at the BOSSDesk support email. 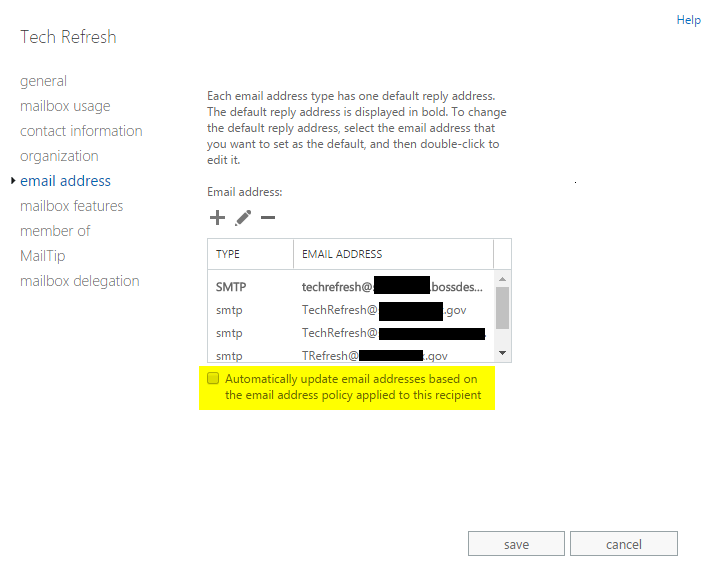 set that email as the default email for the user.